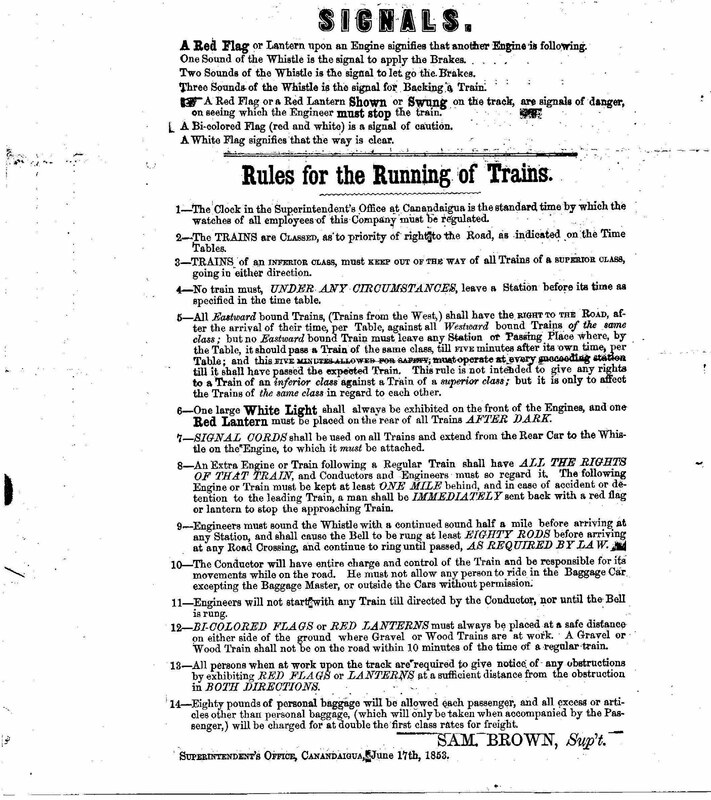 (During my career as a newspaper reporter I wrote many railroad-related stories. The editors knew this and when such a story idea surfaced they assigned them to me, if I was available. I wrote this one in the Herald-Journal on Monday, Nov. 17, 1969. This was five years into my newspaper career. 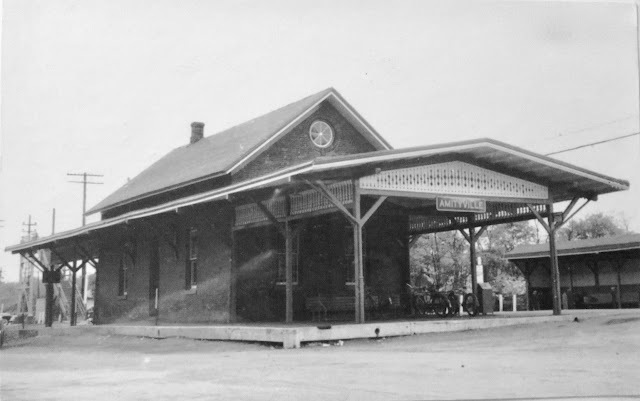 The headline was "Railway Post Office Makes Last Syracuse Deliveries." 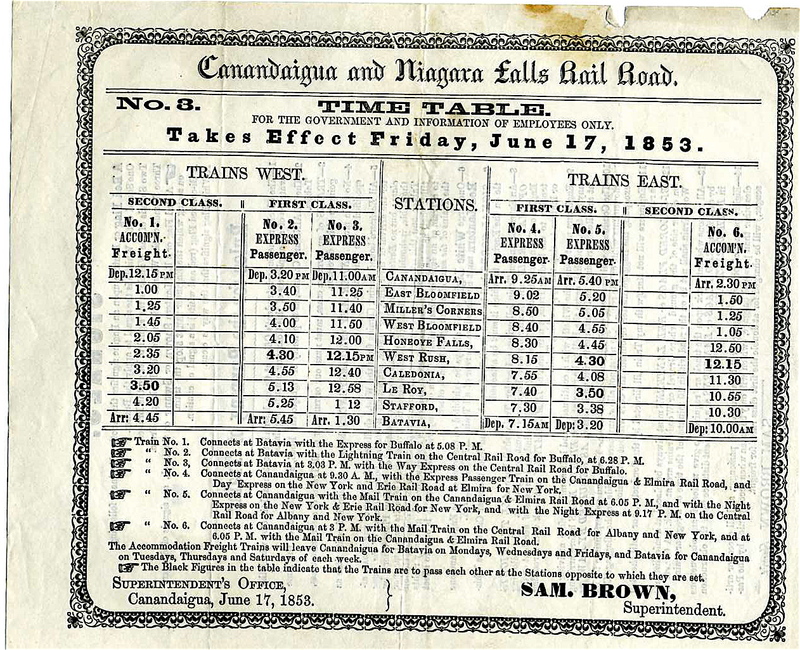 I rode the eastbound train to Utica, returning on a later westbound train. As a side note, reporters didn't usually write headlines). 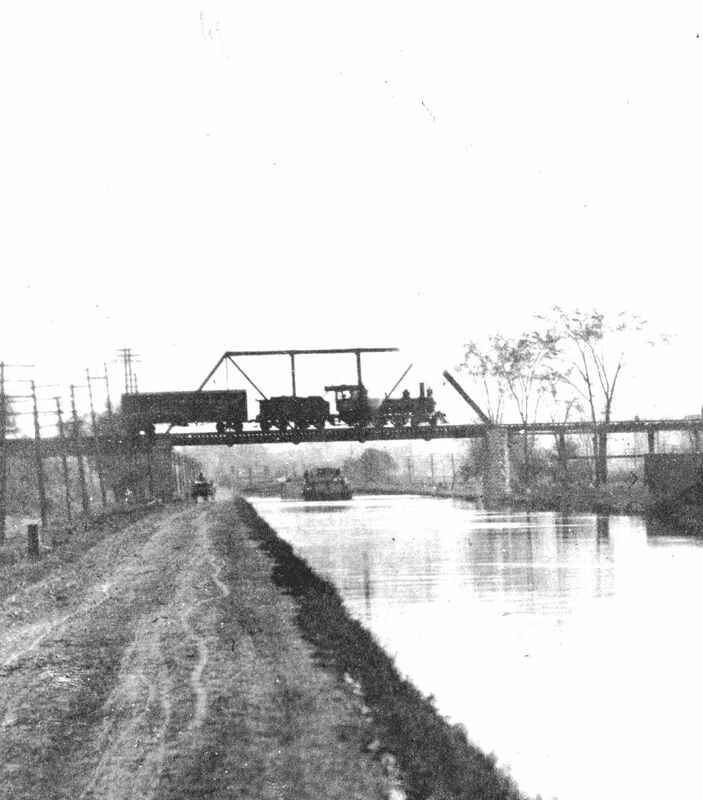 A Lehigh Valley way freight crosses over the Erie Canal at Canastota during the early 1900s, possibly returning from Camden. View is looking east along the towpath. It's interesting to study ancient timetables, particularly those from this region. 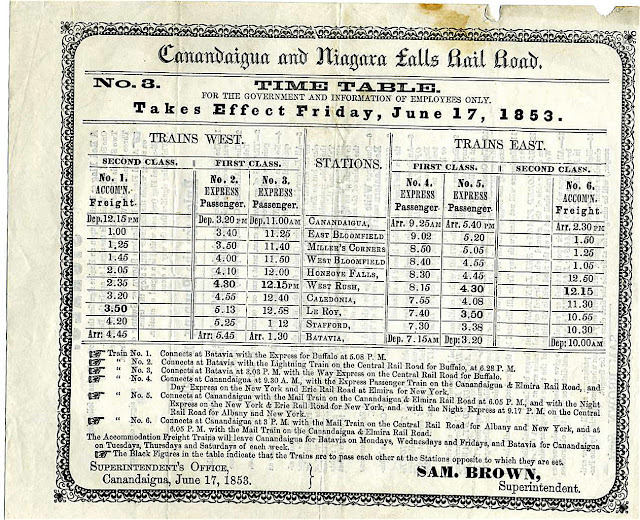 This one is an employee timetable of the Canandaigua & Niagara Falls Railroad, more familiarly known as the New York Central's "Peanut Branch." It was called it because Dean Richmond, the president, dubbed it a "peanut of a railroad," or so the story goes.